What is my name in Japanese? How to translate your name. August 11, 2014 by The Junkie 40 comments on "What is my name in Japanese? How to translate your name." Ah, finding out your Japanese name is magical, isn’t it? It’s the rite of passage for any new learner. Want to know what your name is in Japanese? If you’re just lazy, just LOOK BELOW for the list of common translated names. If you’re ambitious… scroll all the WAY DOWN and the guide. It’ll take 3 or 4 minutes and you’ll be ready to use your Japanese name. Also, be sure to leave a comment and say what your Japanese name is for practice! To make it easier, and so you can double-check your work, here are some common names translated into Japanese. If I don’t have yours, leave a comment below and I will add it! Hajimemashite, watashi no namae wa (name) desu. Nice to meet you. My name is (name). Or you can just say the more casual way. If you got your name right, be sure to leave a comment and introduce yourself. If I missed your name, also leave a comment and we’ll get one for you! And now that you know your name and can introduce yourself, you should learn even more Japanese! First, there are 8 rules that you need to know about finding out your Japanese name. Don’t worry, they’re not scary. You’ll be fine after reading them. And if you’re still confused, just leave a comment. Or… proceed to the list below if now you’re feeling lazy. It must be written in Katakana as it’s a foreign name. Katakana is merely a version of the Japanese alphabet dedicated to foreign words that were adopted by Japanese. There is no L. L becomes R. Sorry Larry, Linda, and Luke. Your names will start with the letter R from now on. 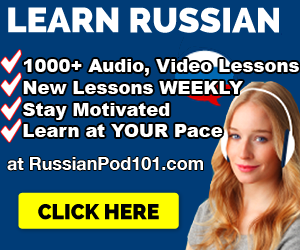 There’s no L in the Japanese language and Japanese R is pretty unique, similar to the Russian/Spanish/Italian R where you slightly roll your tongue. So Larry, you are pretty much Rarry. There is no V. V becomes B. Sorry Vicky, you’re now Bikki. The Japanese Alphabet follows the this sound pattern. You’ll get a good idea of it after taking a look at the character chart below. So, of course, there will be “ka, ki, ku, ke, ko” and “sa, shi, su, se, so” and so on. Most Japanese letters actually consist if 1 consonant and 1 vowel OR just 1 vowel. Rule: In two consecutive consonants, the first one follows an “U” sound. The second one will follow the vowel that’s already in your name. Or if your name ends in a consonant, like “D” in Ted, then that last consonant is doubled up and ends in an O or U. Ted actually becomes Teddo. Fred becomes Fureddo. This rule does not apply to names ending in “N.” N in Japanese is the only consonant can be counted as 1 letter. So, our friend Glen is Guren. This rule does not apply to names ending in “Y.” So, Ray becomes Rei. The letter I (イ) acts as that “iy” sound. Names ending in K, M or X take on the “U” ending. Jim is Jimu. Hank is Hanku. Sam is Samu. Max is Makkusu. Mark is Ma-ku. Japanese letters are pronounced with equal stress and time, unless noted by an elongation. Take the word “camera.” In English, camera is pronounced as “Caaamura,” right? There’s quite a bit of stress on the “Caaaaa.” In Japanese however, it is ka-me-ra where each letter, ka, me and ra, are said for equal amounts of time. This will help you understand rule #7 below. And so, on. You’ll see more of these in the chart below. Ok, now you’re ready to learn your Japanese name. 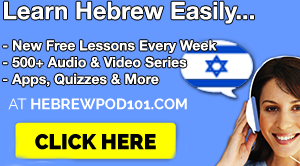 Step 1: Refer to rule #4 for the proper pronunciation of A, I, U, E, O. Step 2: If your name starts with a consonant and vowel, look for the ones that match you. Or similary, if your name starts with a vowel, chose A, I, U, E, or O, depending on how your name sounds. Step 3: Then piece your name together. Look for the next sound. Kevin will start with “Ke” or ケ, and then we need “Bi” (remember no V in Japanese) and “N.” So, find “Bi” and “N” and you have “Kebin” or ケビン. Step 4: Feeling lazy? Scroll down below this chart where I’ve translated common English names into Japanese. 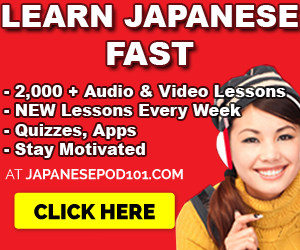 Want to learn to speak Japanese with Audio & Video Lessons? 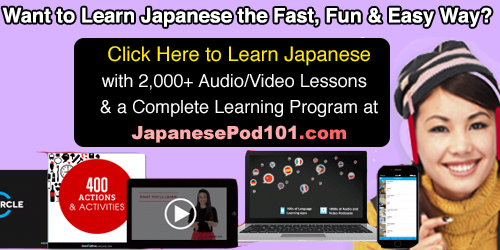 Sign up for free at JapanesePod101 below and start learning Japanese! 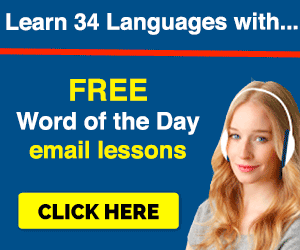 >>Click here to sign up for free & learn Japanese with Audio & Video Lessons! Hajimemashite, watashi no namae wa Dabiddo desu! Doozo yoroshiku. Hi Coltyn! It depends how you pronounce your name. If the “tyn” part sounds like “tin”, it would be コルチン (Koruchin) or コルティン (Korutein – more closer to the tin sound). If it sounds like “ton,” then Koruton (コルテン). You have some flexibility with how you want it/which sound suits your name best! Hi! I think I’ve got it, but I’m not sure. My name is Evan. Wouldn’t it be Eban? You got it! That’s right. my name is pretty rare……. I have been wanting to know for a long time. Nobirishima? Written out like this–> ノビリシマ, ne? Anyiha deepends on the pronunciation. How would you pronounce it? If it’s “Ah-nee-ha”, then アニーハ in Japanese. So, your name would be イウェン (pronounced, Eewen). You can even make it イーウェン to elongate the “ee” sound as the “ee” is said quickly and might not capture the pronunciation that you fully intend. how about Catherine and Cathy? for Cathy but i’m still unsure if it’s correct)? How do i write my name? My name is pronounced A-ma-r.
Hi my name is luqman, so it would be ruqman? My Chinese name is 陈佩儿. So what is my Japanese name?? My name is Lorie has a nickname and my full name is Lorencie. What would it be? My middle name is Skyra so how would that translate also? Actually, it would be makkusu! My name is Jordan, what would my Japanese name be? What would my Japanese name be if my name is Autumn? My name is Velimir, what would it be like in Japanese?